As Green Label celebrates all things camouflage in the lead-up to our camo exhibition at COMPLEXCON, we’ve compiled a list of ultra-rare camo collectibles. 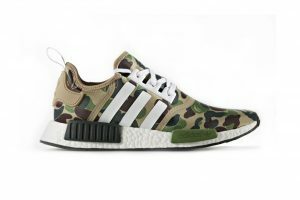 Including art, sneakers, and designer toys, camouflage is incorporated in some way, and everything listed is in some way rare. It’s hard to blend in when you’re one of the few people in the world with one of these in your collection. There’s a large market for rare G.I. Joes, kept in pristine unopened boxes, although most of the collectibles aren’t actually worth more than a few hundred dollars. The original prototype for the toy, however, is one of the most expensive toys of all time: The figure, on which all future models of GI Joe were based, sold for $200,000 at auction in 2003. Designed by Don Levine for Hasbro in 1963, the prototype sat untouched in a box at its creator’s home for decades before the landmark sale. The camo pattern on here is discrete, appearing only in the figurine’s helmet. He does don an old-school, green military uniform, though. And though this original version of GI Joe is pricey, it’s nothing compared to the amount of money Hasbro made from future versions of the mass-produced, camo-clad soldier toys. Inside the World of the Original Camo-Wearing Action Doll: GI Joe. 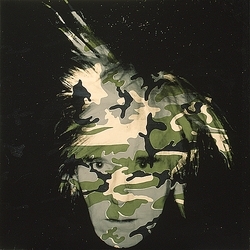 Andy Warhol incorporated camouflage into his work at various points throughout his career, including a series of 1986 self-portraits with camouflage overlay, just a few months before he died from surgery complications. The Camouflage series included Polaroids and canvases, several abstract camouflage patterns, and a mix of traditional color schemes as well as vibrant blues and reds. Each distorts the militaristic meaning behind camouflage for Warhol’s pop-art purposes. Because these are among Warhol’s last works, they’re also some of the most valuable; an original print from the series, Camouflage 406, was listed on eBay for $25,000. Nigo made camo a major element of his coveted brand, plastering it across clothes, shoes, and accessories, as well as collaborations like a BAPE Winnie the Pooh and a \Pepsi cans. One of its rarest and most expensive collaborations was with Jacob & Co. for a limited-edition run of watches. 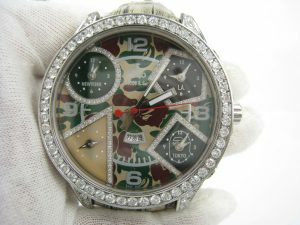 The two brands created several watches of varying designs and price points, all of them incorporating BAPE’s camo design in some capacity. But this one-of-a-kind piece, which features a subtle camo background on the face, is priced by rare watch trader Deluxe Movements at$55,000, which is high even by a hypebeast’s standards. Designer Mark McNairy’s self-titled line regularly includes camo jackets, pants, camo-inflected shoes and even chukka boots. 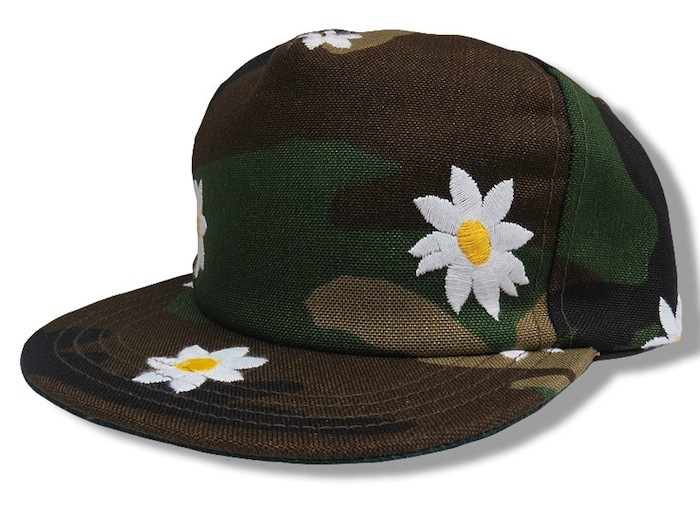 This, a collaboration with Pharrell’s Billionaire Boys Club, is one of the rarest. Only 25 were available for sale, 24 after one went to Pharrell himself, who was often photographed in it. While the design is relatively simple—featuring a non-descript camo-style print, and bright white-and-yellow embroidered daisies—the exclusivity of the hat, as well as Pharrell’s co-sign, made it a collectible: In 2013, one of the hats was listed on eBay for $200. Camouflage jackets have made a comeback in recent years. Virgil Abloh, Kanye’s creative director and owner of the Off White fashion label, sells camouflage jackets priced at $1,500; Kanye’s own Saint Pablo military jackets are selling for around $400 on eBay. 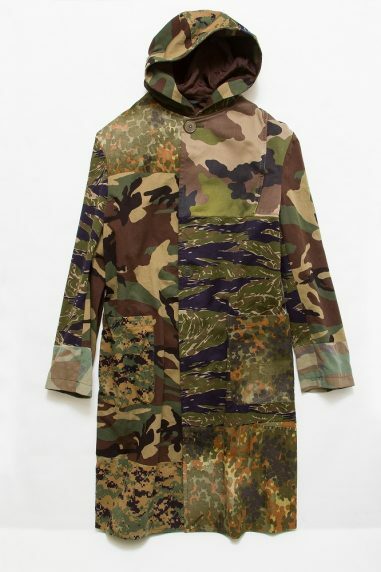 Designer Yohji Yamamoto might have created one of the most interesting camo jackets of recent times, though, featuring a hodgepodge of camo stylings, from woodland to tiger and digital camo prints. The coat cost roughly $1,334 USD, and was only available for purchase at Yamamoto’s “Limited Shop” in Japan’s Hankyu department store. KAWS became a street art legend in the early ’90s, and soon, he was hanging works in high-level galleries. Partly thanks to his fans Pharrell and Kanye West, his paintings sell for tens of thousands of dollars. As far as camo, KAWS’ Camo Skulls series of acrylic paintings on canvas make use of standard camouflage colorings. Fine art dealer Heather James refers to the series as a “contemporary critique of humanity’s obsession with death.” One of the pieces in the Camo Skulls series, dated from 1999, once sold for $49,421. Owning at least one version of the adidas NMD is a must for any serious sneakerhead, even causing a riot at a Taiwan mall. 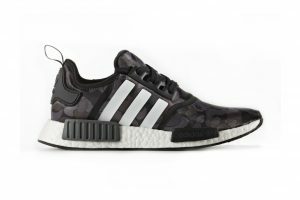 There’s likely to be similar pandemonium when the next two versions of the NMD, made in collaboration with BAPE, come out on November 26. It remains unclear how many of these sneakers will be available, and where exactly they’ll be sold, but they’ll likely sell out and go for much higher than the $150 RRP once the resellers get their hands on them. 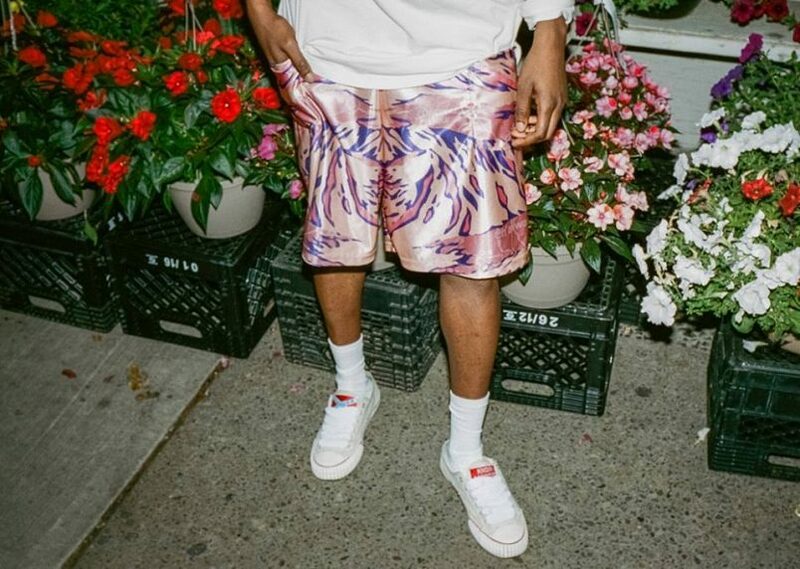 Released this past July, these pink-polyester camo shorts feature a dizzying purple and pink tiger camo pattern, and a hidden 1951 battle map of the Korean War. They were intended to create awareness: “Everywhere we look there’s tension and propaganda used to divide us between beliefs and ethnicities,” says ASK’s Facebook page. “We wanted to stand out by bringing different cultures and ideas together as a symbol of unity rather than division, reminding people of the importance of bringing cultures and ideas together.” Only 15 pairs were produced, and they sold out, quickly. It remains to be seen whether or not these shorts will ever become a collector’s item, but for now, they’re some of the rarest camo items out there. Huck Gee is a respected designer of vinyl toys, as well as a longtime Kid Robot collaborator. One of Gee’s more popular characters is the Kid Robot-produced Sgt. Hicks, an eyepatch-wearing, horn-equipped animal soldier from the future. 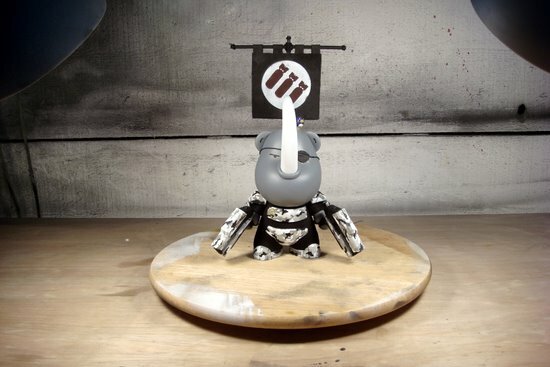 Also like many toy designers, Gee specializes in limited edition runs of his handmade items. This “Arctic Camo” edition of Sgt. Hicks is one of the most exclusive toys Gee has produced, and when it was released, in 2010, the toy was priced at $500. Gee only produced as many as were purchased during the pre-sale, and he’s yet to offer another run. Various versions of Sgt. Hicks are easy—and cheap—to find online. This particular camo version, however, is not. Ron English has incorporated camouflage into his work throughout his decades-long career. Following a pattern replicated by many of the pop artists on this list, English often uses camo versions of popular characters in limited edition runs of toys, shirts, or prints. One of his rarer characters is this camo version of “Mousemask Murphy,” where Murphy is riding in a plane painted to look like a shark. A shark decked out, like Murphy’s shirt and goggles, in camo. This toy originally sold via Japanese toy vendor Blackbook for $108. Watch our documentary on camouflage: The Fine Print: A History of Camouflage.